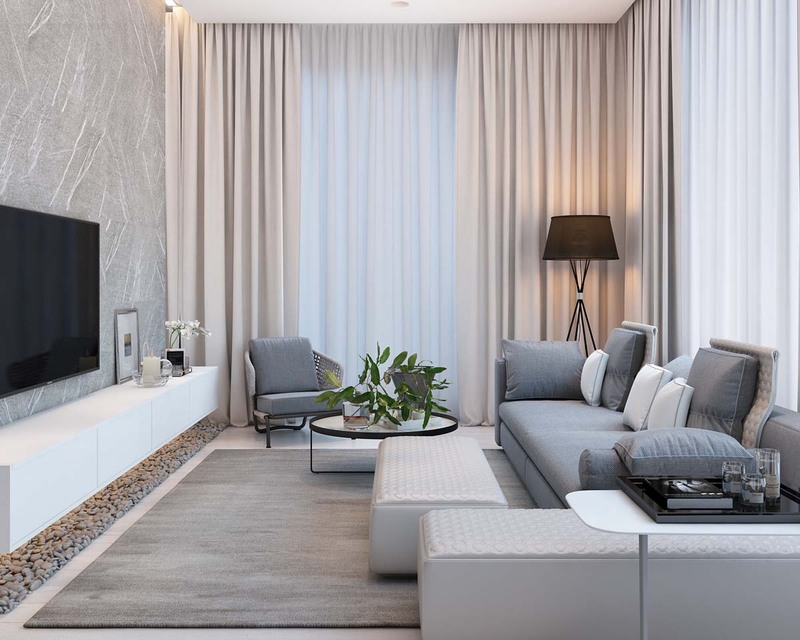 While the term modern means different things to different people, the underlying theme of modern design is to firmly step away from the more traditional styles. Modern kitchens tend to follow a minimalist design style; typically as a result of its effectiveness in smaller dwellings, as well the ever increasing demand for a functional kitchen. Modern kitchens have done away with unnecessary adornments in exchange for more working space throughout. This aesthetic has also found its way to kitchen cabinet design. 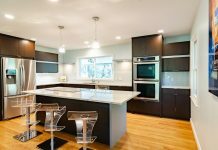 When remodeling your kitchen it is best to seek out a kitchen designer who also specializes in designing custom cabinetry like Hunt’s Kitchen Design in Arizona. 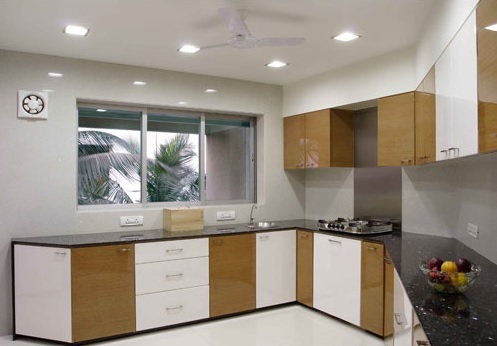 By finding a designer who also constructions cabinets you can ensure that your newly designed kitchen will have the ideal cabinets for layout of your newly renovated kitchen. The right type of cabinet can give your entire kitchen a modern overhaul. 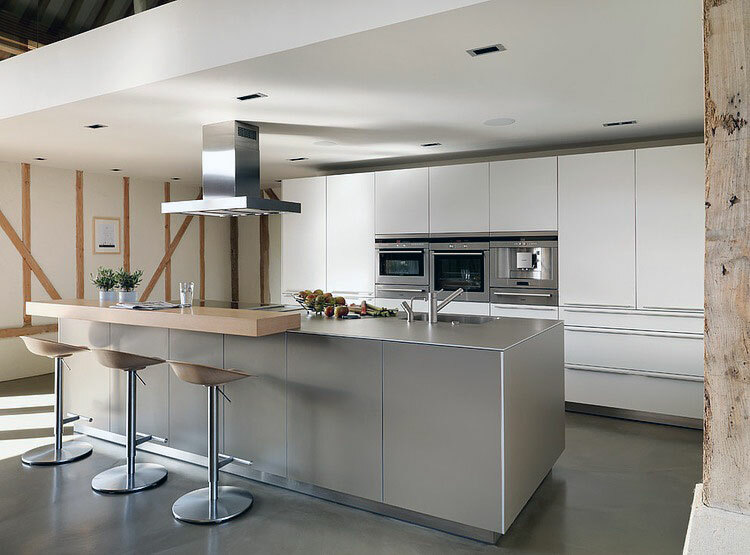 Modern kitchen cabinets favor a more angular and sleek appearance, without carved wood or ornamentation. Here are a few suggestions for finding the perfect looking cabinets to suit your modern kitchen. 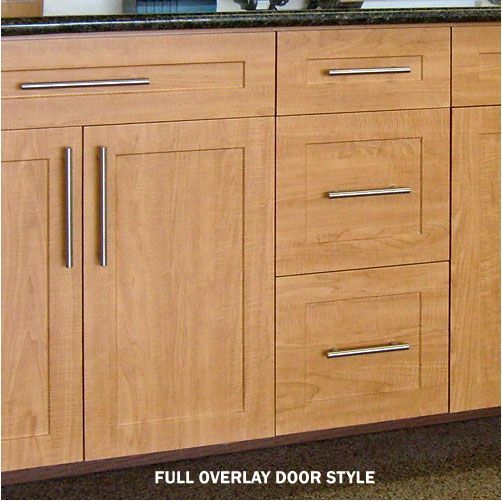 Full overlay doors are a very popular style choice when seeking a modern look for kitchen cabinets. Unlike standard overlay, where parts of the cabinet frame are exposed, full overlay doors overlap the face frame, giving the appearance that the doors and drawers meet. This makes the cabinet surfaces look more continuous, producing a sleek, streamlined finish. 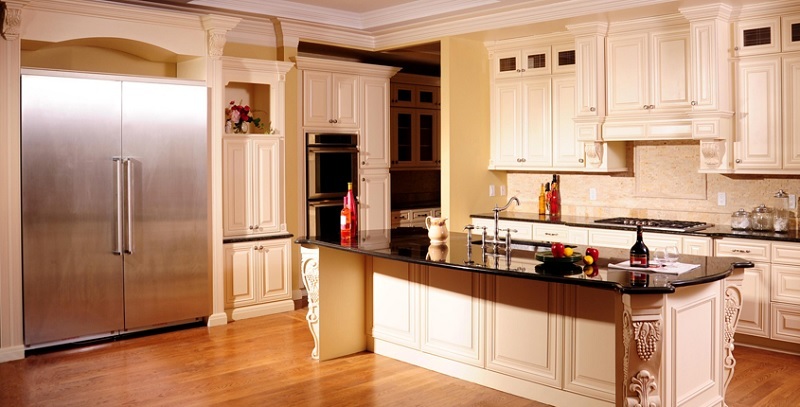 Full overlay doors are used in conjunction with frameless kitchen cabinets. In the modern kitchen, expensive carved wood is out, and laminate fronts are in. 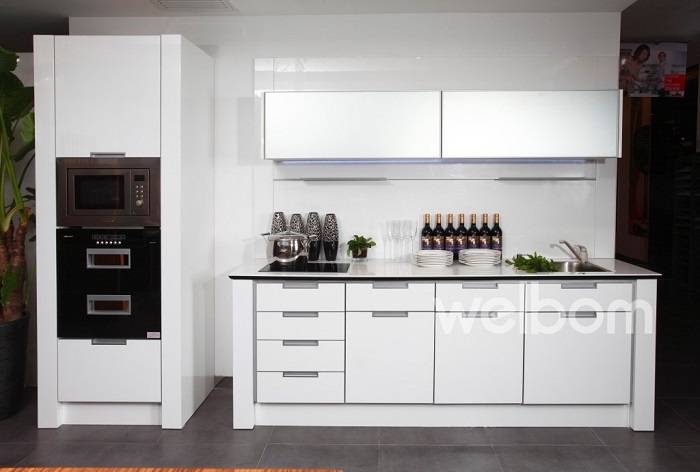 With a laminate-fronted door, any style of kitchen cabinet can be achieved. With many glossy finishes available, this type of cabinet door will bring your kitchen into the sleek 21st century. The laminate front adds a sheen to the surfaces, allowing light to bounce around the room. It can work wonders when trying to brighten dull spaces, or enlarge small ones. If modern design had a color, white would be it. Pure white captures the crisp, clean, minimalist nature of modern interior design. In a modern kitchen, an all white design scheme, with high-gloss laminate-front cabinets, will give the kitchen a futuristic look. Although stark, clean white is considered a very modern design choice, painted cabinets are having a resurgence. 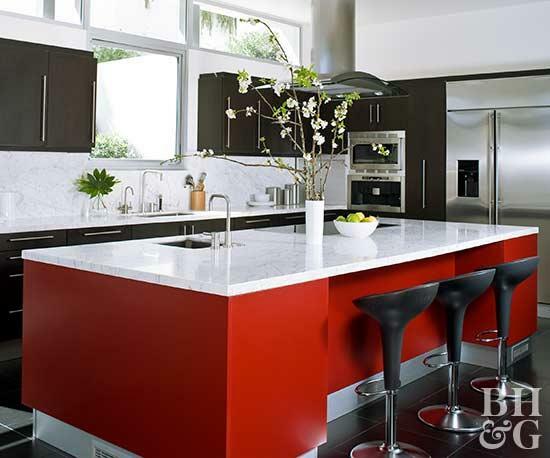 Bold, primary colors can be used cleverly to draw focus to a feature wall, an island counter, or stylish modern cabinets. Kitchen cabinets in bright reds, blues, and yellows are making a comeback in apartments and houses across the nation. The modern kitchen relies on clever storage solutions. With innovations in kitchen cabinet design, today’s modern kitchen can remain sleek, minimalist, and clean, as well as provide hidden gems of functionality throughout. 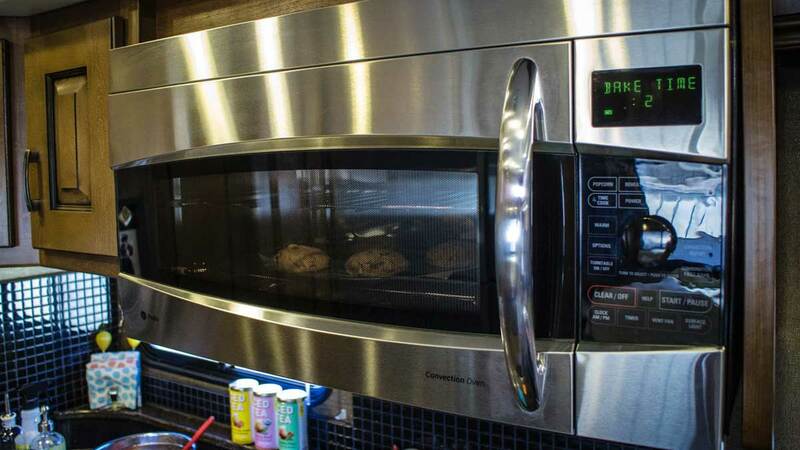 Retractable shelving, concealable vacuum hoods, hidden compartments; kitchen designers have been busy coming up with new and exciting ways to organize your modern kitchen. Simple Small Bathroom Decor Brings The Ease Inside Of It!